Looking for a new Toyota to spruce up your Las Vegas or Moapa commute? Findlay Toyota has the new Toyota for sale you’re looking for. Whether you’re interested in a sedan like the Toyota Camry or new Toyota SUVs like the Toyota RAV4, you’ll find a wide selection to choose from. And aside from this impressive inventory, you’ll also be impressed with the pricing. Our models are priced to sell, but we also deliver added incentives to make buying from us even more appealing. Take advantage of our true cash offer and trade in your current model for a new Toyota fromFindlay Toyota. LE trim. FUEL EFFICIENT 39 MPG Hwy/30 MPG City! Bluetooth Connection, Aluminum Wheels, Back-Up Camera, Auxiliary Audio Input, Satellite Radio. Warranty 5 yrs/60k Miles - Drivetrain Warranty; CLICK NOW!======KEY FEATURES INCLUDE: Back-Up Camera, Satellite Radio, Auxiliary Audio Input, Bluetooth Connection, Aluminum Wheels Rear Spoiler, MP3 Player, Keyless Entry, Steering Wheel Audio Controls, Child Safety Locks. ======EXPERTS RAVE: Great Gas Mileage: 39 MPG Hwy. Fuel economy calculations based on original manufacturer data for trim engine configuration. Please confirm the accuracy of the included equipment by calling us prior to purchase. LE trim. FUEL EFFICIENT 39 MPG Hwy/30 MPG City! Bluetooth, Alloy Wheels, Back-Up Camera, iPod/MP3 Input, Satellite Radio. Warranty 5 yrs/60k Miles - Drivetrain Warranty; CLICK NOW!======KEY FEATURES INCLUDE: Back-Up Camera, Satellite Radio, iPod/MP3 Input, Bluetooth, Aluminum Wheels. Rear Spoiler, MP3 Player, Keyless Entry, Child Safety Locks, Steering Wheel Controls. ======EXPERTS RAVE: Great Gas Mileage: 39 MPG Hwy. Fuel economy calculations based on original manufacturer data for trim engine configuration. Please confirm the accuracy of the included equipment by calling us prior to purchase. FUEL EFFICIENT 39 MPG Hwy/30 MPG City! LE trim. Bluetooth, Aluminum Wheels, Back-Up Camera, iPod/MP3 Input, Satellite Radio. Warranty 5 yrs/60k Miles - Drivetrain Warranty; CLICK ME!======KEY FEATURES INCLUDE: Back-Up Camera, Satellite Radio, iPod/MP3 Input, Bluetooth, Aluminum Wheels Rear Spoiler, MP3 Player, Keyless Entry, Child Safety Locks, Steering Wheel Controls. ======EXPERTS ARE SAYING: Great Gas Mileage: 39 MPG Hwy. Fuel economy calculations based on original manufacturer data for trim engine configuration. Please confirm the accuracy of the included equipment by calling us prior to purchase. LE trim. EPA 39 MPG Hwy/30 MPG City! Bluetooth Connection, Aluminum Wheels, Back-Up Camera, Auxiliary Audio Input, Satellite Radio. Warranty 5 yrs/60k Miles - Drivetrain Warranty; READ MORE!======KEY FEATURES INCLUDE: Back-Up Camera, Satellite Radio, Auxiliary Audio Input, Bluetooth Connection, Aluminum Wheels Rear Spoiler, MP3 Player, Keyless Entry, Steering Wheel Audio Controls, Child Safety Locks. ======VEHICLE REVIEWS: Great Gas Mileage: 39 MPG Hwy. Fuel economy calculations based on original manufacturer data for trim engine configuration. Please confirm the accuracy of the included equipment by calling us prior to purchase. LE trim. FUEL EFFICIENT 39 MPG Hwy/30 MPG City! Bluetooth, Alloy Wheels, Back-Up Camera, iPod/MP3 Input, Satellite Radio. Warranty 5 yrs/60k Miles - Drivetrain Warranty; AND MORE!======KEY FEATURES INCLUDE: Back-Up Camera, Satellite Radio, iPod/MP3 Input, Bluetooth, Aluminum Wheels. Rear Spoiler, MP3 Player, Keyless Entry, Child Safety Locks, Steering Wheel Controls. ======EXPERTS ARE SAYING: Great Gas Mileage: 39 MPG Hwy. Fuel economy calculations based on original manufacturer data for trim engine configuration. Please confirm the accuracy of the included equipment by calling us prior to purchase. Bluetooth, Back-Up Camera, Alloy Wheels, iPod/MP3 Input, Satellite Radio. PULSE exterior and BLUE BLACK interior, LE trim. EPA 40 MPG Hwy/32 MPG City! Warranty 5 yrs/60k Miles - Drivetrain Warranty; CLICK ME!======KEY FEATURES INCLUDE: Back-Up Camera, Satellite Radio, iPod/MP3 Input, Bluetooth, Aluminum Wheels. Rear Spoiler, MP3 Player, Keyless Entry, Child Safety Locks, Steering Wheel Controls. Toyota LE with PULSE exterior and BLUE BLACK interior features a 4 Cylinder Engine with 106 HP at 6000 RPM*. ======VEHICLE REVIEWS: Great Gas Mileage: 40 MPG Hwy. Horsepower calculations based on trim engine configuration. Fuel economy calculations based on original manufacturer data for trim engine configuration. Please confirm the accuracy of the included equipment by calling us prior to purchase. Bluetooth, Back-Up Camera, Aluminum Wheels, iPod/MP3 Input, Satellite Radio. FUEL EFFICIENT 40 MPG Hwy/32 MPG City! PULSE exterior and BLUE BLACK interior, LE trim. Warranty 5 yrs/60k Miles - Drivetrain Warranty; READ MORE!======KEY FEATURES INCLUDE: Back-Up Camera, Satellite Radio, iPod/MP3 Input, Bluetooth, Aluminum Wheels Rear Spoiler, MP3 Player, Keyless Entry, Child Safety Locks, Steering Wheel Controls. Toyota LE with PULSE exterior and BLUE BLACK interior features a 4 Cylinder Engine with 106 HP at 6000 RPM*. ======EXPERTS REPORT: Great Gas Mileage: 40 MPG Hwy. Horsepower calculations based on trim engine configuration. Fuel economy calculations based on original manufacturer data for trim engine configuration. Please confirm the accuracy of the included equipment by calling us prior to purchase. FUEL EFFICIENT 40 MPG Hwy/32 MPG City! Bluetooth, Alloy Wheels, Back-Up Camera, iPod/MP3 Input, Satellite Radio. LE trim, FROST exterior and BLUE BLACK interior. Warranty 5 yrs/60k Miles - Drivetrain Warranty; SEE MORE!======KEY FEATURES INCLUDE: Back-Up Camera, Satellite Radio, iPod/MP3 Input, Bluetooth, Aluminum Wheels. Rear Spoiler, MP3 Player, Keyless Entry, Child Safety Locks, Steering Wheel Controls. Toyota LE with FROST exterior and BLUE BLACK interior features a 4 Cylinder Engine with 106 HP at 6000 RPM*. ======VEHICLE REVIEWS: Great Gas Mileage: 40 MPG Hwy. Horsepower calculations based on trim engine configuration. Fuel economy calculations based on original manufacturer data for trim engine configuration. Please confirm the accuracy of the included equipment by calling us prior to purchase. LE trim, STEALTH exterior and GRAY interior. Bluetooth, Aluminum Wheels, Back-Up Camera, iPod/MP3 Input, Satellite Radio. FUEL EFFICIENT 40 MPG Hwy/32 MPG City! Warranty 5 yrs/60k Miles - Drivetrain Warranty; CLICK NOW!======KEY FEATURES INCLUDE: Back-Up Camera, Satellite Radio, iPod/MP3 Input, Bluetooth, Aluminum Wheels. Rear Spoiler, MP3 Player, Keyless Entry, Child Safety Locks, Steering Wheel Controls. Toyota LE with STEALTH exterior and GRAY interior features a 4 Cylinder Engine with 106 HP at 6000 RPM*. ======EXPERTS REPORT: Great Gas Mileage: 40 MPG Hwy. Horsepower calculations based on trim engine configuration. Fuel economy calculations based on original manufacturer data for trim engine configuration. Please confirm the accuracy of the included equipment by calling us prior to purchase. Bluetooth, Alloy Wheels, Back-Up Camera, iPod/MP3 Input, Satellite Radio. CHROMIUM exterior and BLUE BLACK interior, LE trim. EPA 40 MPG Hwy/32 MPG City! Warranty 5 yrs/60k Miles - Drivetrain Warranty; READ MORE!======KEY FEATURES INCLUDE: Back-Up Camera, Satellite Radio, iPod/MP3 Input, Bluetooth, Aluminum Wheels. Rear Spoiler, MP3 Player, Keyless Entry, Child Safety Locks, Steering Wheel Controls. Toyota LE with CHROMIUM exterior and BLUE BLACK interior features a 4 Cylinder Engine with 106 HP at 6000 RPM*. ======VEHICLE REVIEWS: Great Gas Mileage: 40 MPG Hwy. Horsepower calculations based on trim engine configuration. Fuel economy calculations based on original manufacturer data for trim engine configuration. Please confirm the accuracy of the included equipment by calling us prior to purchase. EPA 40 MPG Hwy/32 MPG City! STEALTH exterior and GRAY interior, LE trim. Bluetooth, Alloy Wheels, Back-Up Camera, iPod/MP3 Input, Satellite Radio. Warranty 5 yrs/60k Miles - Drivetrain Warranty; SEE MORE!======KEY FEATURES INCLUDE: Back-Up Camera, Satellite Radio, iPod/MP3 Input, Bluetooth, Aluminum Wheels. Rear Spoiler, MP3 Player, Keyless Entry, Child Safety Locks, Steering Wheel Controls. Toyota LE with STEALTH exterior and GRAY interior features a 4 Cylinder Engine with 106 HP at 6000 RPM*. ======EXPERTS REPORT: Great Gas Mileage: 40 MPG Hwy. Horsepower calculations based on trim engine configuration. Fuel economy calculations based on original manufacturer data for trim engine configuration. Please confirm the accuracy of the included equipment by calling us prior to purchase. EPA 40 MPG Hwy/32 MPG City! GRAPHITE exterior and GRAY interior, LE trim. Bluetooth, Alloy Wheels, Back-Up Camera, iPod/MP3 Input, Satellite Radio. Warranty 5 yrs/60k Miles - Drivetrain Warranty; READ MORE!======KEY FEATURES INCLUDE: Back-Up Camera, Satellite Radio, iPod/MP3 Input, Bluetooth, Aluminum Wheels. Rear Spoiler, MP3 Player, Keyless Entry, Child Safety Locks, Steering Wheel Controls. Toyota LE with GRAPHITE exterior and GRAY interior features a 4 Cylinder Engine with 106 HP at 6000 RPM*. ======EXPERTS ARE SAYING: Great Gas Mileage: 40 MPG Hwy. Horsepower calculations based on trim engine configuration. Fuel economy calculations based on original manufacturer data for trim engine configuration. Please confirm the accuracy of the included equipment by calling us prior to purchase. STEALTH exterior and GRAY interior, LE trim. FUEL EFFICIENT 40 MPG Hwy/32 MPG City! Bluetooth, Alloy Wheels, Back-Up Camera, iPod/MP3 Input, Satellite Radio. Warranty 5 yrs/60k Miles - Drivetrain Warranty; READ MORE!======KEY FEATURES INCLUDE: Back-Up Camera, Satellite Radio, iPod/MP3 Input, Bluetooth, Aluminum Wheels. Rear Spoiler, MP3 Player, Keyless Entry, Child Safety Locks, Steering Wheel Controls. Toyota LE with STEALTH exterior and GRAY interior features a 4 Cylinder Engine with 106 HP at 6000 RPM*. ======EXPERTS CONCLUDE: Great Gas Mileage: 40 MPG Hwy. Horsepower calculations based on trim engine configuration. Fuel economy calculations based on original manufacturer data for trim engine configuration. Please confirm the accuracy of the included equipment by calling us prior to purchase. EPA 40 MPG Hwy/32 MPG City! LE trim, STEALTH exterior and BLUE BLACK interior. Bluetooth, Back-Up Camera, Aluminum Wheels, iPod/MP3 Input, Satellite Radio. Warranty 5 yrs/60k Miles - Drivetrain Warranty; CLICK NOW!======KEY FEATURES INCLUDE: Back-Up Camera, Satellite Radio, iPod/MP3 Input, Bluetooth, Aluminum Wheels Rear Spoiler, MP3 Player, Keyless Entry, Child Safety Locks, Steering Wheel Controls. Toyota LE with STEALTH exterior and BLUE BLACK interior features a 4 Cylinder Engine with 106 HP at 6000 RPM*. ======EXPERTS REPORT: Great Gas Mileage: 40 MPG Hwy. Horsepower calculations based on trim engine configuration. Fuel economy calculations based on original manufacturer data for trim engine configuration. Please confirm the accuracy of the included equipment by calling us prior to purchase. EPA 40 MPG Hwy/32 MPG City! Bluetooth, Aluminum Wheels, Back-Up Camera, iPod/MP3 Input, Satellite Radio. LE trim, FROST exterior and GRAY interior. Warranty 5 yrs/60k Miles - Drivetrain Warranty; CLICK NOW!======KEY FEATURES INCLUDE: Back-Up Camera, Satellite Radio, iPod/MP3 Input, Bluetooth, Aluminum Wheels. Rear Spoiler, MP3 Player, Keyless Entry, Child Safety Locks, Steering Wheel Controls. Toyota LE with FROST exterior and GRAY interior features a 4 Cylinder Engine with 106 HP at 6000 RPM*. ======EXPERTS ARE SAYING: Great Gas Mileage: 40 MPG Hwy. Horsepower calculations based on trim engine configuration. Fuel economy calculations based on original manufacturer data for trim engine configuration. Please confirm the accuracy of the included equipment by calling us prior to purchase. LE trim, FROST exterior and GRAY interior. Bluetooth, Back-Up Camera, Alloy Wheels, iPod/MP3 Input, Satellite Radio. EPA 40 MPG Hwy/32 MPG City! Warranty 5 yrs/60k Miles - Drivetrain Warranty; READ MORE!======KEY FEATURES INCLUDE: Back-Up Camera, Satellite Radio, iPod/MP3 Input, Bluetooth, Aluminum Wheels Rear Spoiler, MP3 Player, Keyless Entry, Child Safety Locks, Steering Wheel Controls. Toyota LE with FROST exterior and GRAY interior features a 4 Cylinder Engine with 106 HP at 6000 RPM*. ======EXPERTS REPORT: Great Gas Mileage: 40 MPG Hwy. Horsepower calculations based on trim engine configuration. Fuel economy calculations based on original manufacturer data for trim engine configuration. Please confirm the accuracy of the included equipment by calling us prior to purchase. LE trim, PULSE exterior and GRAY interior. Bluetooth, Aluminum Wheels, Back-Up Camera, iPod/MP3 Input, Satellite Radio. EPA 40 MPG Hwy/32 MPG City! Warranty 5 yrs/60k Miles - Drivetrain Warranty; CLICK ME!======KEY FEATURES INCLUDE: Back-Up Camera, Satellite Radio, iPod/MP3 Input, Bluetooth, Aluminum Wheels. Rear Spoiler, MP3 Player, Keyless Entry, Child Safety Locks, Steering Wheel Controls. Toyota LE with PULSE exterior and GRAY interior features a 4 Cylinder Engine with 106 HP at 6000 RPM*. ======VEHICLE REVIEWS: Great Gas Mileage: 40 MPG Hwy. Horsepower calculations based on trim engine configuration. Fuel economy calculations based on original manufacturer data for trim engine configuration. Please confirm the accuracy of the included equipment by calling us prior to purchase. Bluetooth, Back-Up Camera, Alloy Wheels, iPod/MP3 Input, Satellite Radio. GRAPHITE exterior and BLUE BLACK interior, LE trim. EPA 40 MPG Hwy/32 MPG City! Warranty 5 yrs/60k Miles - Drivetrain Warranty; SEE MORE!======KEY FEATURES INCLUDE: Back-Up Camera, Satellite Radio, iPod/MP3 Input, Bluetooth, Aluminum Wheels Rear Spoiler, MP3 Player, Keyless Entry, Child Safety Locks, Steering Wheel Controls. Toyota LE with GRAPHITE exterior and BLUE BLACK interior features a 4 Cylinder Engine with 106 HP at 6000 RPM*. ======EXPERTS RAVE: Great Gas Mileage: 40 MPG Hwy. Horsepower calculations based on trim engine configuration. Fuel economy calculations based on original manufacturer data for trim engine configuration. Please confirm the accuracy of the included equipment by calling us prior to purchase. 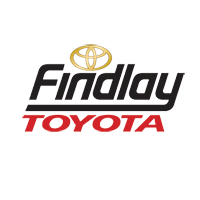 Find a New Toyota for Sale Today at Findlay Toyota! When you’re ready to bring a new model home to Boulder City, be sure to check out the new Toyota inventory at Findlay Toyota. Whether looking for the right model for your Pahrump commute or your Mesquite adventure, you’ll find it here. And when you need vehicle maintenance, you can rely on our service center.